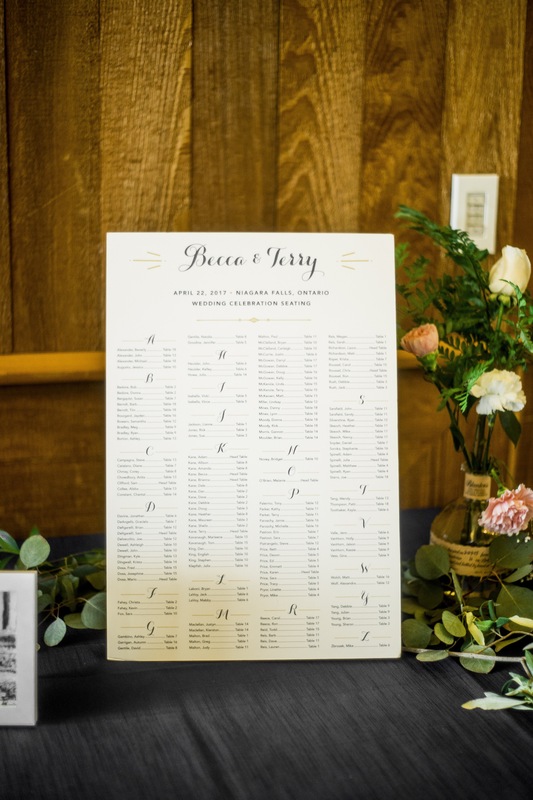 We had the pleasure of working with Becca and Terry, whose destination wedding at Niagara Falls gave us plenty of inspiration. 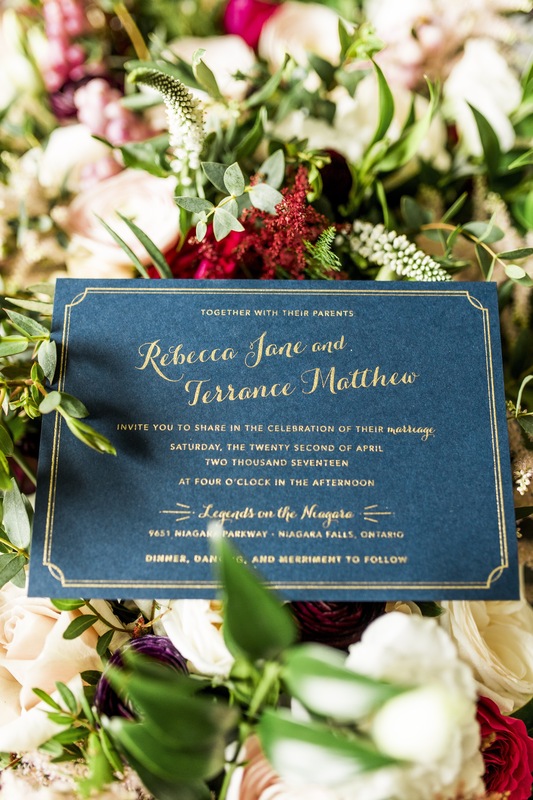 We enjoyed their color palette of blush and navy, and the opportunity to add some gold ink to their vintage inspired vibe. 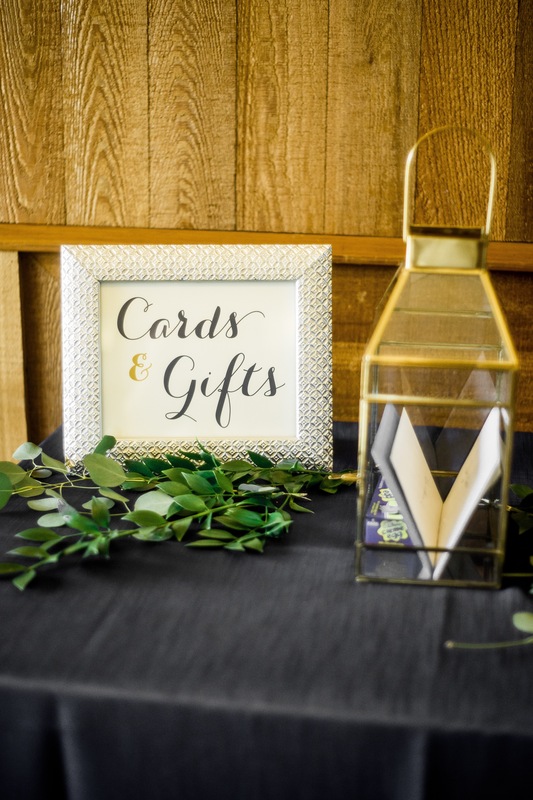 For Becca and Terry’s design, we were thrilled to use a cool printing technique called thermography. 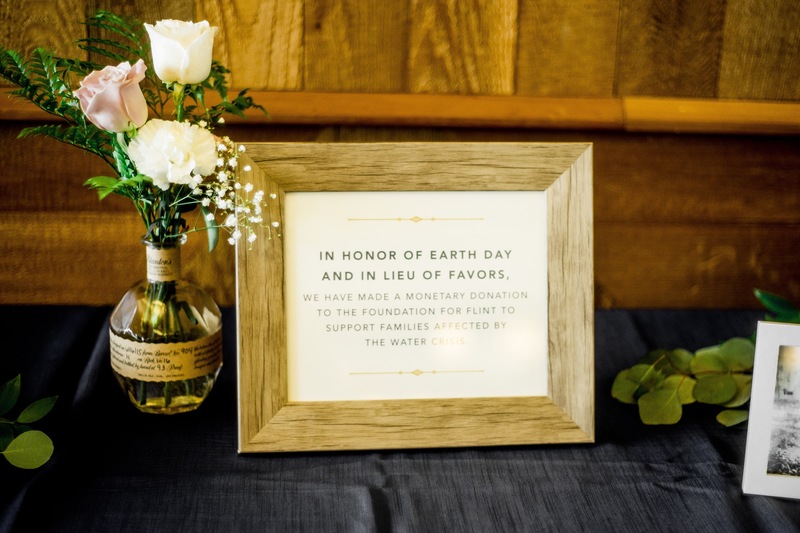 This process uses heat to apply inks to paper that results in a glossy, slightly raised finish that looks very luxe while being less expensive than traditional letterpress. It can be a great option for couples who are looking for that wow factor while working within a budget! 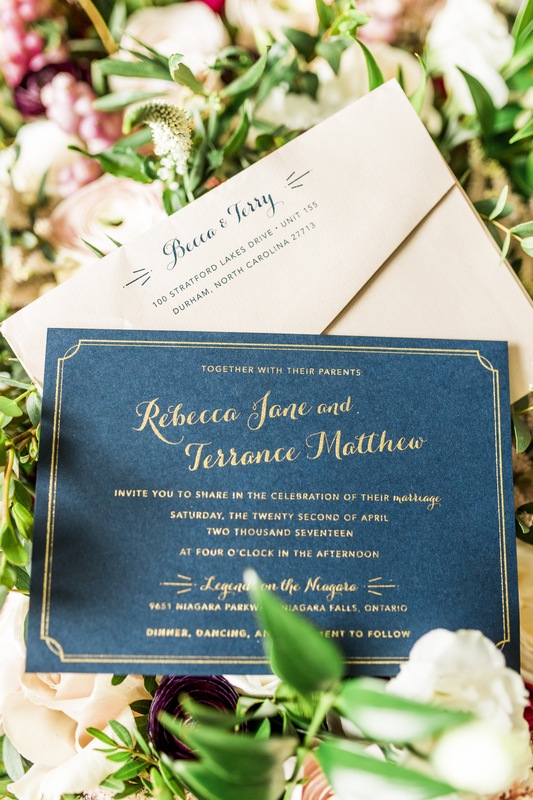 We created an invitation suite for Becca and Terry in navy and blush, which have been popular colors over the past year. 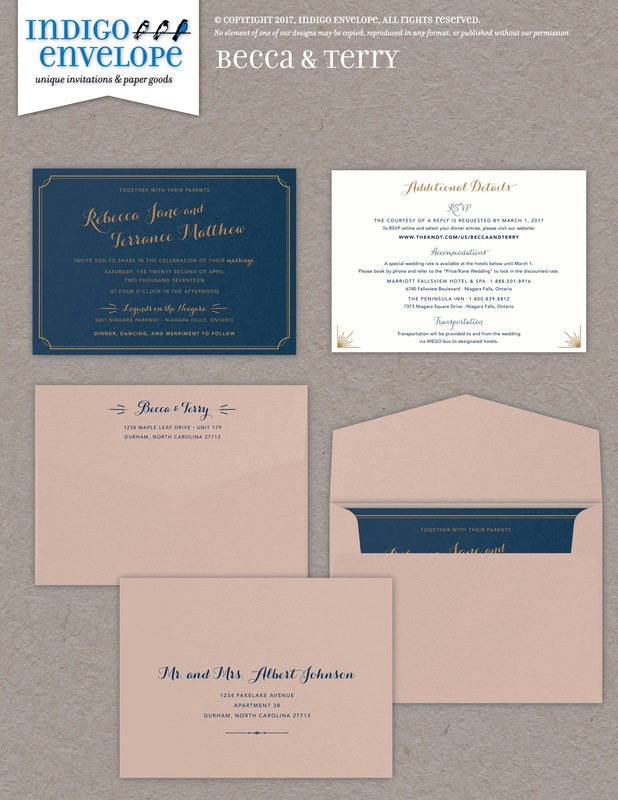 The navy is formal and traditional, and the blush tones are neutral but add softness, romance, and subtle color. 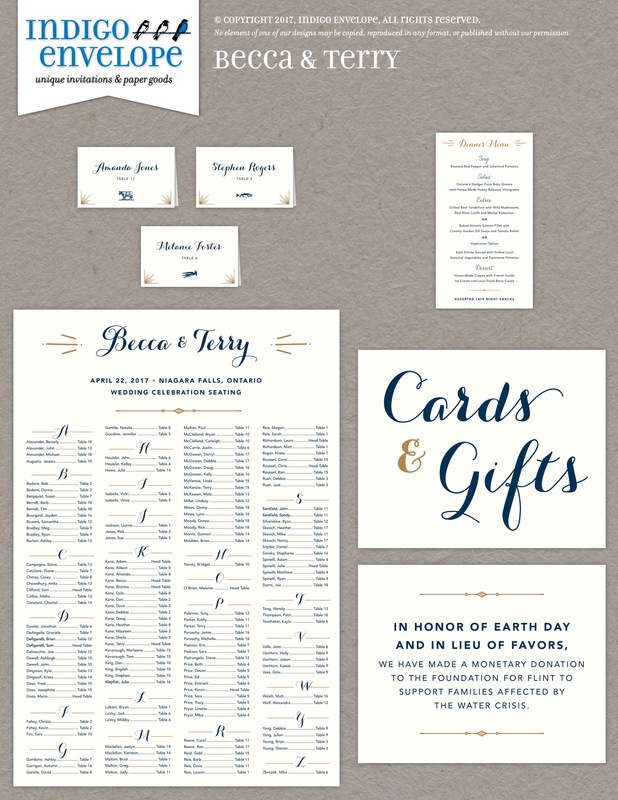 A beautiful digital calligraphy font, hand-drawn flourishes, and the metallic gold thermography were other focal points of the design.